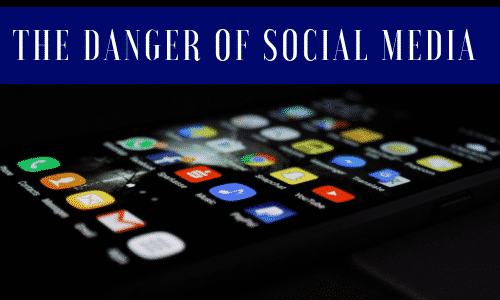 The other day, I had a friend compare Facebook to Walmart, saying it was the Social Media site where she could get everything in one place, like her favorite recipes, pics of her grandbabies, and news from around the world. She hadn’t said something I’d thought a thousand times before the 2016 elections, only now, the statement bugged me. If there’s one thing I’ve learned this past year, it’s that getting news from social media is a dangerous thing. Some argue that they only share news from reputable sources, like their local channels or possibly a national station or newspaper they trust. Not too long ago, I would have argued that it’s all right to share an article as long as it came from a reputable source. But then I read an honest-to-God newspaper. And you know what? I wasn’t bombarded with reactionary posts, full of inflammatory speech or rhetoric. There were no love, anger, or sad emojis flying across the page. No one unfriended me. Or requested a friendship. Or unfollowed me. Or PM’d me with something they wanted to say but didn’t want to post publicly. I simply sat at the First Watch and read an article while drinking a cup of coffee. I had space. Silence. Time to figure out if I even agreed with whatever knowledge I’d just taken in. As humans, we need balance, which takes time. Time to absorb new information, process it, possibly read articles from a different perspective, or do some research. But social media’s constant white-noise of opinions makes it difficult to have any balance. To make matters worse, algorithms, especially on Facebook, are designed to show us only what we want to see, which creates an echo chamber that reinforces our beliefs and doesn’t allow an opportunity to see a different perspective. I’ve been aware of the problem, but I had no idea how pervasive it was until I ran across an investigative piece from PBS’s show, Frontline, which details how Russia used Facebook to manipulate the United States. This is not a political piece that blames one party or the other. Rather, it exposes just how far another country went to exploit the vulnerability in America’s societal fabric. By exploiting our implicit biases, Russia was able to create divisive fissures with the intent of weakening our democracy. If you have the time, I recommend watching the entire piece because it’s fascinating. Below is a section of part two, which deals with the topic at hand. As for me, I’ve learned that sharing news on social media is like that innocuous brown glass bottle my grandfather had in the barn that was full of DDT. Looking at the container, one would think it harmless. But within that muddy glass was something so poisonous and dangerous it should have been locked up and stored away from those who were unaware of its toxicity. I’m now dedicated to keeping my social media sites, well, social. And do you know what? I’m getting less inflammatory ads and invites to political pages and groups. I’m starting to see more pictures of peoples kiddos, their pets, and the posts that are about whatever it is they did that day. The algorithm shift on my page made me wonder—what if everyone stopped sharing news posts from FOX, CNN, NBC, CBS, and the rest and, instead, they only posted social links such as videos, recipes, recommendations of products or services, or what they did that day? We can blame Zuckerberg and Facebook all we want, but the reality is we control our social ecosystem by what we click and share. And that, my friends, is a powerful thing.